X. Zheng, and P. Pulli, “Improving mobile services design: a QFD approach”, Computing and Informatics, Vol. 26, 2007, pp. 369–381. M. Valtasaari, “Design for customer needs: Utilization of quality function deployment in product development”, Department of Industrial Engineering and Management (MSc. Thesis), Lappeenrannan University of Technology, Finland, 2000. M. Hussain, L. Tsironis, and M. M. Ajmal, “A QFD strategy for improving customer satisfaction: case study of telecom companies of Pakistan”, Asian Journal on Quality, Vol. 12, 2011, pp. 282-295. B. M. West, and J. Olhager, “The house of flexibility: using the QFD approach to deploy manufacturing flexibility”, International Journal of Operations & Production Management, vol. 22, 2002, pp. 50-79. M. Haverila, “Cell phone usage and broad feature preferences: A study among Finnish undergraduate students”, Telematics and Informatics, Vol. 30, 2013, pp. 177-188. E. Sutherland, “Counting customers, subscribers and mobile phone numbers”, Info, Vol. 11, No. 2, 2009, pp. 6-23. ISNAD Cerit, B. , Küçükyazıcı, G. , Kalem, G. . "Quality Function Deployment and Its Application on a Smartphone Design". 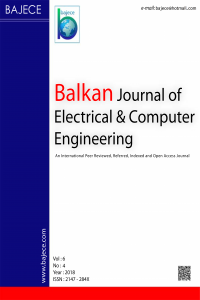 Balkan Journal of Electrical and Computer Engineering 2 / 2 (June 2014): 86-91.